Britain announced last month that the Royal Air Force (RAF) will stand up No. 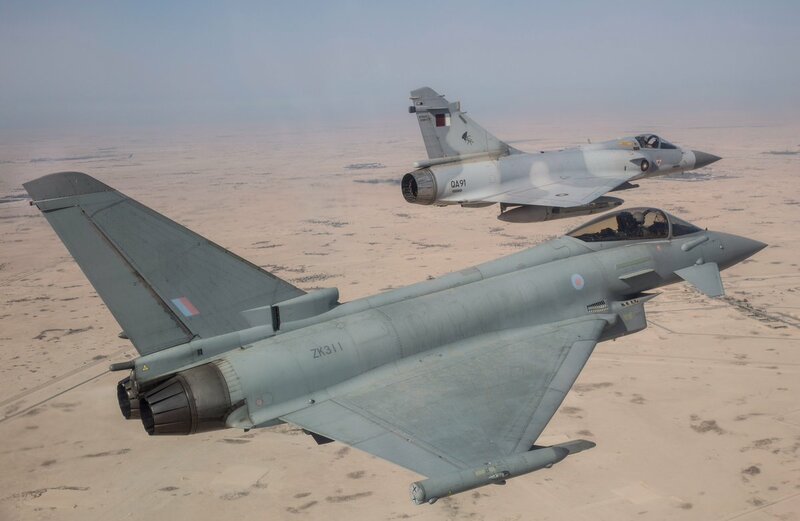 12 Squadron again so that Qatari air and ground crews can be trained to operate the Eurofighter Typhoon multi-role aircraft. Previously based at RAF Marham, the unit will relocate to RAF Coningsby in Lincolnshire. No. 12 Squadron is currently operating Tornados, and will transition to the future Typhoon force. Noteworthy on Sep. 17, 2017 Qatar and U.K. defense ministers signed the Letter of Intent (LOI) over Qatar’s purchase of 24 Eurofighter Typhoon. 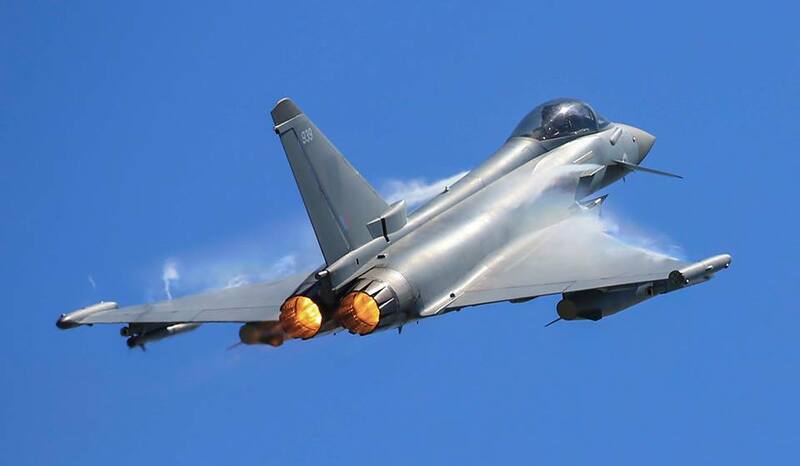 Qatar’s LOI for Eurofighters came three months after the Gulf state signed a deal with the U.S. for the procurement of 36 Boeing F-15QA (Qatar Advanced)-variant Eagles, which came two years after it ordered 24 Dassault Rafales from France. The Qatar Emiri Air Force (QEAF) has a requirement for 72 new combat aircraft to replace its aging fleet of 12 Dassault Mirage 2000-5 fighters. If the Typhoon and Eagle orders are fulfilled in full, the QEAF will field a fighter force of 84 platforms across three different types. For some years, Qatar has been building up its combat aviation capabilities with the procurement of the latest platforms and technologies. The increase in the QEAF’s frontline fighter force from the current 12 aircraft to upwards of 84, in particular, will represent a massive enhancement in its capacity and capability. The biggest export deal for the Typhoon project in a decade, valued at around £6 billion and sustaining thousands of UK jobs, Qatar is the ninth country to purchase the Typhoon. This year also saw the first delivered to Oman, whilst the MOD is leading the offer to replace Belgium’s F-16s with the jets and continues to discuss the prospect of a second batch of sales to Saudi Arabia.